CoreAxis has been a leading provider of outsourced solutions for Fortune 1000 companies for nearly two decades. 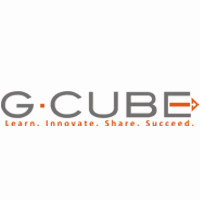 We specialize in instructional design and eLearning content development. Cantilever Instruction+Design works with companies, professional associations, and non-profit organizations to create custom learning solutions that address their business challenges. Rio, a division of Arth Media that deals with learning solutions and related technologies. With outstanding domain expertise in e-content development, publishing, distribution, and technological innovation. 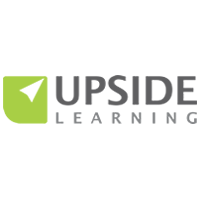 Upside Learning is a leading provider of learning technology solutions. We help over 150 organizations across the world to improve performance through Custom eLearning, mLearning, Responsive and Multi-device solutions, and UpsideLMS. We’re passionate creators of fun, challenging learning experiences that are delivered with engaging style and an unparalleled quality. We design and develop attractive eLearning experiences and Instructor-led courses, alongside a hybrid of both. Mooka Media is an educational multimedia company based in Ireland. From helping you to shape your online content ideas, through to release and maintenance, we offer a range of elearning services for any stage of the digital learning design process. Octivo is an Award-winning e-learning and digital content agency, based in Melbourne, Australia. Specialists in business simulation games for corporate training and events. Your go to experts in Learning Management System (LMS) Solution and e-Learning Content Development provider.